Target population: Senior men and women, 55 plus years in age. 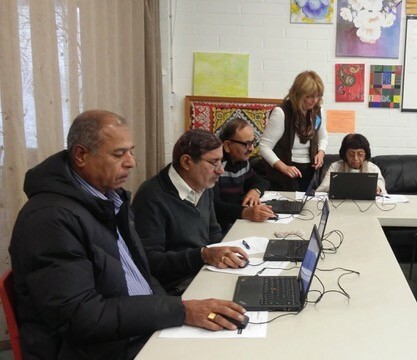 The Shaama Centre offers programs and services that promote and enhance the well-being and self-reliance of seniors and provide activities and services among immigrant seniors who are isolated because of social and physical barriers. 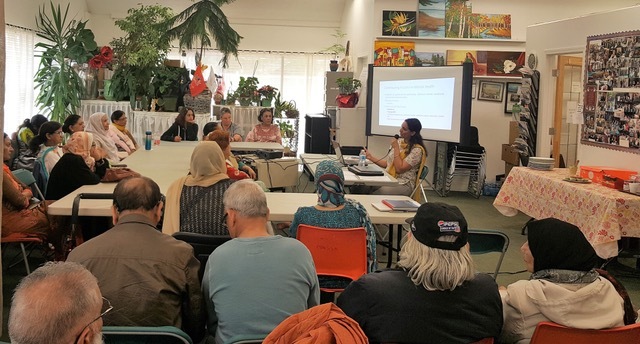 They learn about community resources and how to access them They improve their English language skills, develop friendship, learn about Canadian society and share their wisdom and life experience with younger generation. Our outreach staff and volunteers Visit isolated seniors who may need assistance provide information, referrals, individual advocacy and, help them to navigate the system. Assistance with government form-filling, tax-filling and navigating the system. Referrals to various services, Emotional support and, Counselling. Home and hospital visits as needed. Workshops on health and wellness, pension and benefits and topics of interest to seniors. 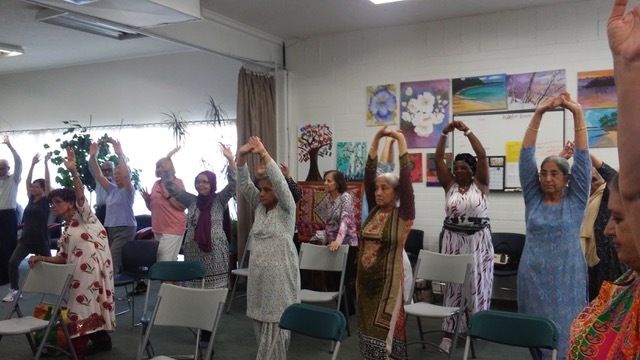 Free exercise classes are held for seniors 55+ every Monday and Thursday. These exercises help improve balance, mobility and heart rate. Courses are designed to help improve one’s knowledge and skills using computers. This includes the basics: how to turn the computer on and off, along with how to use a mouse, a keyboard, the internet, email, and internet applications. In addition, the courses offer lessons about common office software and file management. The courses allow individuals to familiarize themselves with the iPad, explore the internet, e-mail, messenger applications, socialize and play online games.